The Gypsy Movement: One CMU Student Joins A Local Vodka Brand | Grand Central Magazine | Your Campus. Your Story. Living a natural lifestyle is not only a trend, but a growing revolution that we are especially experiencing in the food and beverage industries in America. From organic breads to vegetables, juices and beers, the “live naturally” phenomena is growing every day. Gypsy Vodka is capitalizing on a new category – spirits. The brand new and unique vodka that Michigan natives are raving about is Gypsy Vodka. Its earthy and sweet tones are derived from all-natural American sweet corn and nothing else. It is naturally gluten-free and distilled in small, quality batches. Best of all, this spirit has a backstory that will inspire many of the young folks who are struggling to take the next post-graduation step. Twin brothers Michael and Adam Kazanowski, 25, from Birmingham, MI are recent graduates of Michigan State University. Feeling stuck in the nine to five lifestyle, they embarked on a life-changing journey that led them to become the founders of Gypsy Vodka. After many weeks of travel, they came into touch with a man who distilled whiskey. This man’s passion and commitment to his craft led the Kazanowski brothers to find a passion for their own. Following this encounter, the brothers knew they would never go back to the lifestyle they were living prior to their excursion. With inspiration from the love and adventure they experienced across the country, they returned home with a new way of life in mind. The name, “Gypsy Vodka” exemplifies the daring lifestyle they’d chosen to pursue. Central Michigan University’s own business entrepreneurship senior, Austin Casarez, 23, experienced the internship of a lifetime working for Gypsy Vodka this summer. We linked up with him to get to know more about this all-natural, entrancing product. Grand Central: How did you find out about Gypsy Vodka? At that point in my life, I was in desperate need of a fulfilling internship – I was taking 21 credits in the midst of beginning my life with my wife and son. I had interviews with Quicken Loans and Enterprise Rent-a-Car and neither of them went well. I got in touch with “the boys” [Kazanowski brothers], and formed a drive to help their product succeed. They told me that they did not have much, but that they would work with it and would create an internship that would mutually benefit me and the success of Gypsy Vodka. Being an entrepreneurship major, this start-up business felt like the perfect opportunity for me, so I joined the movement. GC: Do you see yourself staying with this business? AC: Absolutely. I am in deep with Gypsy Vodka. I am dedicated to the new product and have so much faith that big things will come of it. 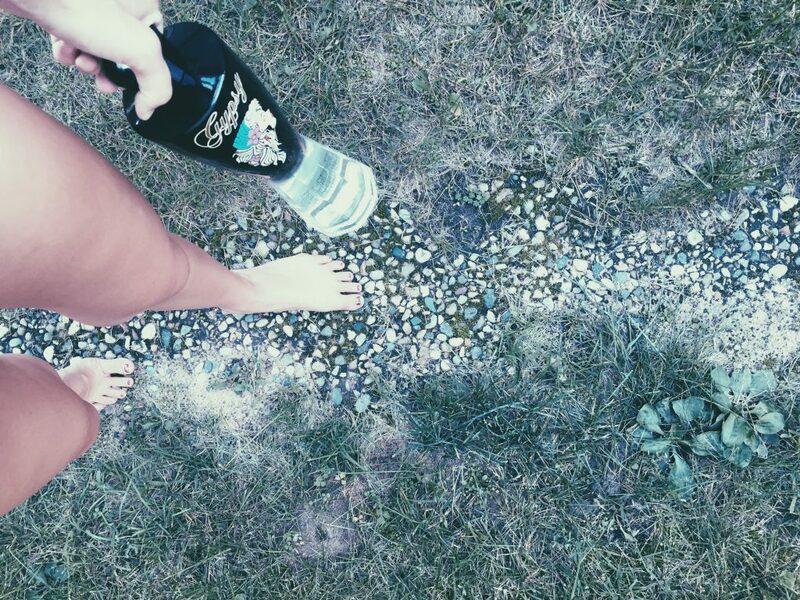 GC: What is the most exciting thing you’ve done thus far with Gypsy Vodka? Casarez: Well, I helped open a big door recently. In hopes of getting the Detroit Lions cheer team on board with Gypsy Vodka, I e-mailed the cheer coach. She then forwarded my proposal to the big guys up top at Ford Field, the decision makers. The head decision maker scheduled a meeting with us to present the product, which meant if the meeting went well, Gypsy Vodka would be on the shelves at the bars, restaurants and concessions within Ford Field. And that is when we felt like we would seal the deal. GC: What would you say is the best part of working for Gypsy Vodka is? AC: The best part about my job is representing the lifestyle and being a good face for the company. I bring a professional presence. The brothers who founded Gypsy are full of life, adventurous, and both funny in their own ways. You know, they totally are the owners of Gypsy Vodka, and everything it stands for, but my role brings a professional image. Gypsy Vodka said their goal is to meet the need to drink to to find an escape in a genuine way. In a world full of deadlines, mental/physical stressors and a society full of hatred and anger, we seek a getaway. This vodka does not embody the need to get on a certain “level,” but instead, to enjoy what you are putting into your body and to let the mind follow. You can find Gypsy Vodka in stores all around Michigan. Separator image Posted in Archives, Drinks, Drinks, Food & Beverage and tagged with Food and Beverage, Gypsy Vodka, Kelsey Wooten, Liquor, Local Products, michigan, Mixed Drink, Movement, Spirits.